Novels about summer romances have always been something I loved. There’s cute, fluffy scenes that lead up to two characters falling in love. And after they’ve fallen in love you have to wonder if they will or won’t last. Author April Lindner’s Love, Lucy is no exception. I’ve been a fan of Lindner’s since I read her novel Catherine(a modernized retelling of Wuthering Heights) and find her writing gorgeous. Love, Lucy was everything a summer romance could and should be. Lucy’s dream is to become an actress. Acting is her passion and her parents know this. However, when her father gives her an ultimatum, Lucy agrees to leave her dream behind and go to business school in return for a trip backpacking through Florence for the summer. It’s during her trip that she meets street musician Jesse Palladino. It’s by chance that Jesse and Lucy meet but once encounter leads to many more. Slowly, Lucy finds herself falling in love with Jesse and is left with her heart torn between the agreement she made with her father and the romance she has with Jesse. After returning home for school, Lucy begins to search for a way to move on and a way to find happiness. She can’t shake the feeling that maybe her love with Jesse is meant to last longer than the summer. And that maybe somehow they’ll find a way to be together once again. I enjoyed Love, Lucy more than I imagined possible. Just like with Catherina, Lindner creates a diverse cast of memorable characters. Beyond that she creates a perfect romance in Jesse and Lucy. Every scene that they have together is one that is filled with chemistry and the promise of something more coming up later on in the story. These two were my one true pairing (OTP) from the very start of the novel. Watching their love story unfold before my eyes was seriously heartwarming and heartbreaking at the same time because like all summer romances theirs is bound to end. Love, Lucy’s plot is consistent. I found that most of the high-paced speed in the story stopped about partway through when Lucy returns to the United States. I will admit that nothing can ever be as exciting as reading about first love in Europe. The story is cut into portions. The first being Lucy in Florence; then the US; and the last one… well you’ll have to read to find out. But no matter where the story took place or what characters were involved in which scenes, I was still hooked on the storyline. I needed to know what would happen not just to Lucy but for everyone involved. I especially think that for teens who pick up Love, Lucy they’ll definitely be able to relate to Lucy and her situation. Apart from being involved in her first romance, Lucy is also caught between what her parents want for her and what she wants for herself. This is a common problem that all teens face with their parents. Throughout reading, I found myself nodding at Lucy and her decisions, aware of the situation she’s faced with. 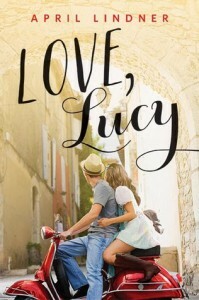 Romance aside, Love, Lucy is also a coming of age story that gave an accurate portrayal to the life of teens who are about to leave High School/just entered Post-Secondary Education. I would recommend Love, Lucy to readers who are looking for a novel that will keep them thoroughly engaged throughout the story. 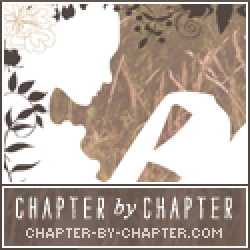 Readers who want a heartfelt romance should also give it a shot. Readers who are fans of the bildungsroman and want a story al about summer romances, travelling through Florence, and the transition from high school to University should also give it a try. Happy reading!